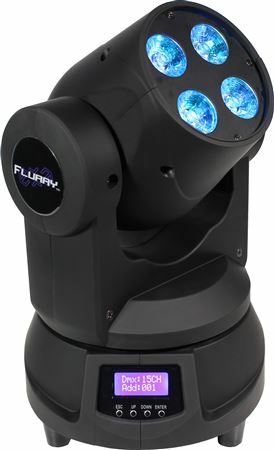 Order your Blizzard Flurry EXA Effect Light from AMS and enjoy 0% Interest Payment Plans, Free Shipping, Free Extended Warranty & 45 Day Money Back Guarantee. The Flurry EXA delivers pure, immacultae and richly saturated color mixing. 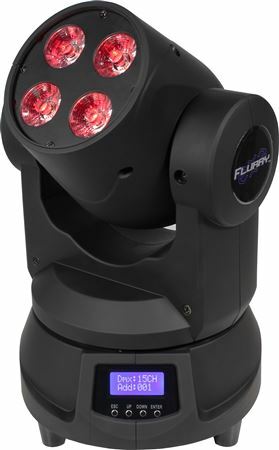 Build on the success of their most popular moving head washes, the Flurry Series, the Flurry EXA takes it to the next level with 4x 15-watt 6-in-1 RGBAW+UV LEDs for an amazing light show. 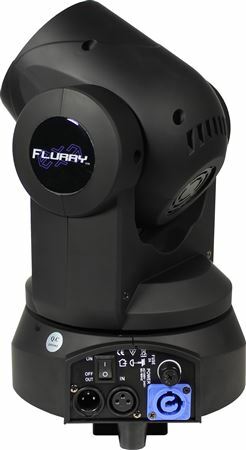 Super small and compact, the Flurry EXA features 540° pan and 220° tilt with built-in programs, color macros, and sound active via DMX or Master/slave modes make the Flurry EXA a breeze to operate at any experience level. It also features variable electronic strobe, vector speed control for multiple channels, user-selectable pan and tilt ranges, and built-in movement macros.